Near Cardington in the UK is the site of one of Britain’s grand technological experiments – the huge airship sheds built in the 1920s. At that time, Germany led the word in long-distance air travel, using airships designed and built by the Zeppelin company. These enormous, lighter than air machines, had both strategic importance (they’d been used to bomb Britain in the Great War) and economic importance (normal aircraft didn’t even come close in the long-distance abilities of airships). Britain didn’t want to be left behind and so started constructing airships of her own – often modelled very closely on German designs, with that information gained through the analysis of downed WWI machines, or through espionage. 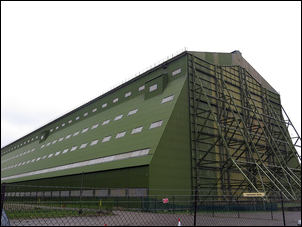 To construct airships you need airship sheds, so explaining two enormous hangers. 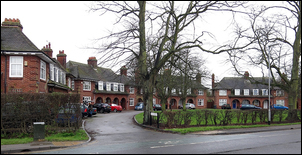 Interestingly, the location was a greenfield site, so a small town also needed to be built for the workers. That town was Shortstown (the airship construction company was Short Brothers) and both Shortstown and the airship hangars are still there. I was hoping to be able to get right up to the hangars but security was tight and so that couldn’t occur. 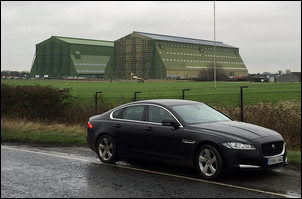 One of the sheds is being used to construct a modern airship (the largest flying thing in the world, but still much smaller than those of 80 years ago), and the other shed appeared to be being used for military test purposes. We could, however, drive around Shortstown. The town itself is undergoing great expansion, with a modern housing estate being built on the outskirts. 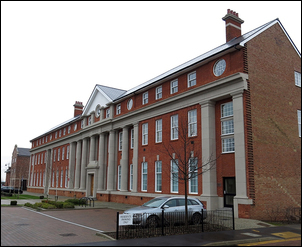 However, the architecture of the new development is very much in sympathy with the original township, and so for example the original grand multi-story building (it was going to be a hotel for airship passengers!) is now restored and being used for commercial and residential purposes. Fascinatingly, this building also housed the design staff of the ill-fated R101 airship that was built in one of the nearby sheds. This airship ended the major airship program of Britain when, in 1930, it crashed on its major test flight to India, having got only as far as France. From Cardington we drove to Cambridge. We have visited Cambridge before but this time we’d added some significant museums to visit. 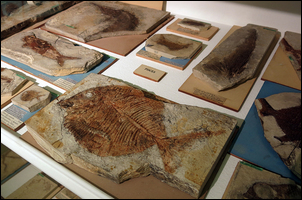 The first – and the best – was the Sedgwick Museum of Earth Sciences. This fantastic geology museum is free and contains among the best collection of fossils you’ll ever see. It also has a display that commemorated Charles Darwin’s abilities as a geologist, with rock samples he’d collected still wrapped in paper with his handwriting on them. Extraordinary. 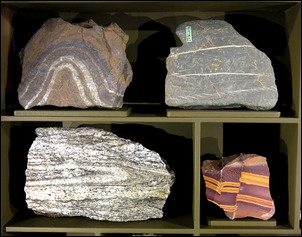 The museum also features some excellent rock and mineral displays: I particularly liked the miniature rock folds and faults. 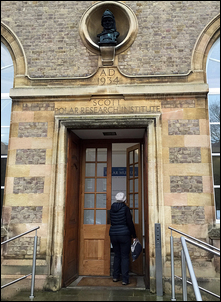 From there we walked to the Scott Polar Research Institute; this building incorporates a polar museum. This is a rather small museum that we thought a bit disappointing – you’d either need to be very much into polar exploration (and so know the significance of what was on display) or be prepared to study every display very closely. Not really being at either end of this spectrum, we stayed only about 10 minutes. However, this museum is also free. And there was another museum on the list: the FitzWilliam Museum – a museum that specialises in arts and antiquities. 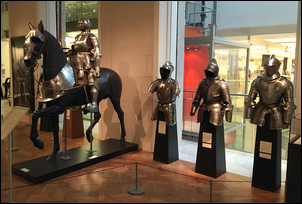 I didn’t find it a particularly stimulating place – except for the displays of medieval arms and armour, that were absolutely fascinating. 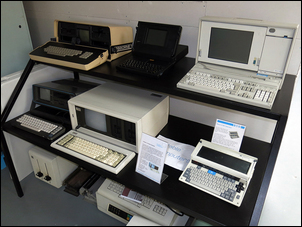 The next day we drove to Ramsgate, but before we left Cambridge, we called in at the Centre for Computing History. Gosh, what a place! Not only do they have an incredible display of computers – both electronic and mechanical – covering the last 100 years, but they also have a lot of the electronic computers switched on and operating. And, if it’s turned on, you are welcome to play with it. 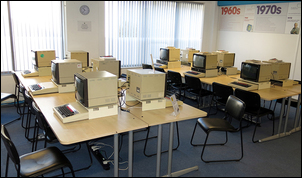 So if you want to plug some BASIC into computers in a classroom mock-up of the 1980s, you can. 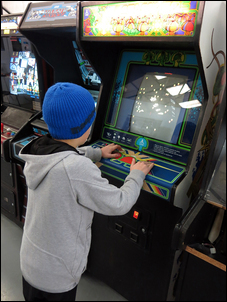 And if you want to play arcade and PC-based games of the last 40 years, you can do that too. Or you can just walk around looking at the huge mainframes, the military computers, the calculators – and even deconstructed modern items like a Pebble watch and a Fitbit. This is a museum that cries out for a grant so they can construct a large purpose-built facility. But even stuck in a warehouse out the back of an industrial area, it’s still a mind-boggling collection of fascinating machines. Good explanatory signs, too. 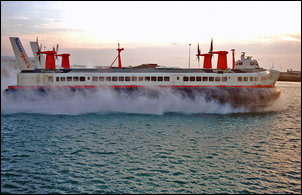 A major reason for going to Ramsgate was to see the remnants of another grand British transport dream – the Hoverport built for the huge cross-channel SR.N4 hovercraft that carried passengers and cars to and from France for 32 years. Built at a time of enormous optimism – yes, just like Shortstown – the Hoverport was seen as being the first of many that would be built around the world. 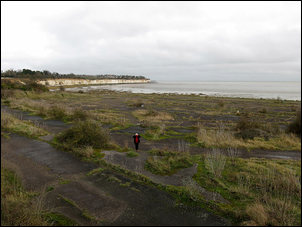 Hoverlloyd built the world's first international hoverport on the sands at Pegwell Bay, Ramsgate, Kent, with two possible targets - to make it the smoothest, quickest possible passenger handling port, and to give passengers a comfortable and enjoyable time. The result is a streamlined Hoverport which equals the standards of any international airport - with a little more besides. The Hoverport cost £1,500,000 to build and can handle 1,000,000 passengers each year; it has the fastest and most direct route of any Channel port to London via the M2 Motorway. The long, low, handsome design of its all-in-one building fits snugly into the sheltered bay. Inside there is a shopping centre with an Exchange Bureau, a Bank and an automatic photograph machine for day passport photos. Around the well of the Customs Hall runs a balcony where passengers and friends can eat quite cheaply at a large Cafeteria; there is also a first-class Cocktail Bar and Restaurant where diners can watch the spectacular sight of hovercraft approaching in a storm of spray to berth on the landing platform right outside the windows. It is fascinating to see 177 tons of hovercraft sit down as gently as a feather. Passengers who have passed through Customs and Immigration controls have a comfortable departure lounge, with a licensed Snack Bar and a Duty Free Shop for the purchase of cigarettes, spirits and perfume. 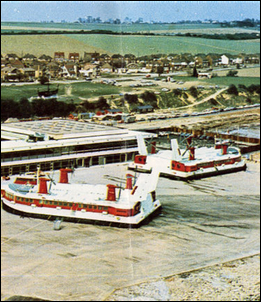 That was in 1970: the Hoverport operated for only 18 years before all hovercraft services were centralised at Dover; the terminal and maintenance buildings then became derelict and were subsequently demolished. 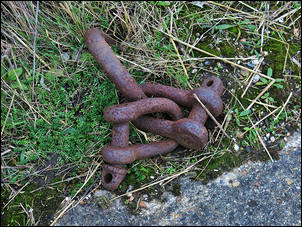 The reclaimed land on which the Hoverport was built is still there – and as it’s open to the general public, you can walk around it. Painted lines are still visible to show the paths the hovercraft took to their loading area; the carpark can still be made out and there’s a derelict pedestrian bridge that crossed one of the access roads. You can even find the steel tie-down rings for the hovercraft positioned on the maintenance pads. 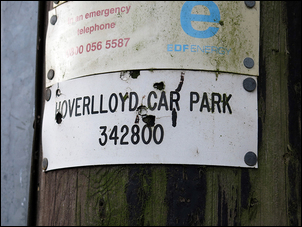 I do find these places – Shortstown, the airship sheds and the site of the Hoverport – fascinating and evocative. I think it would be easy to sneer at their eventual failure but I think it much more appropriate to admire the technological (and financial) bravery. Also in Ramsgate is another brave endeavour – now seen as simply prescient but at the time regarded as madness. 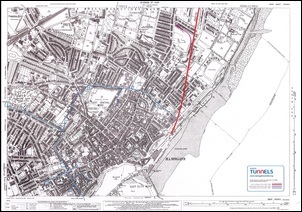 I am talking about the huge underground air-raid shelters planned for Ramsgate before WWII had even begun. The mayor and borough engineer pushed hard for a series of tunnels in which the town’s population could shelter from bombing attack; once WWII started, they were given permission (and the government funding) to build them. With all the plans already complete, progress was rapid. The tunnels integrate into their system a disused railway tunnel. The double track railway tunnel is 25 x 25 feet – large indeed. (In fact, people who lost their homes in bombing set up permanent underground homes in this tunnel.) But it’s the other tunnels – all 5 kilometres of them – that are truly fascinating. These tunnels were used for sheltering only during bombing attacks. Only 7 feet high by 6 feet wide, the tunnels were dug through the soft chalk at an incredible rate – up to 24 feet a day. They followed the path of roads above – this having the dual advantages of not requiring easements, and allowing the easy navigation by townsfolk (they already knew the road layout, so knowing the tunnel layout was natural). The tunnels are generally between 50 and 75 feet below the surface. Entry points to the tunnels were constructed all around the town, meaning that no resident was further than minutes from a tunnel entrance. 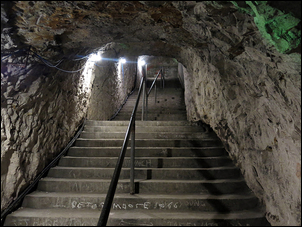 The entrances used broad concrete steps and two 90-degree bends – the bends to protect the tunnels from bomb blast and also keep the blackout intact. In their final form, the tunnels provided enough shelter for 60,000 people – vastly more than the town’s population! 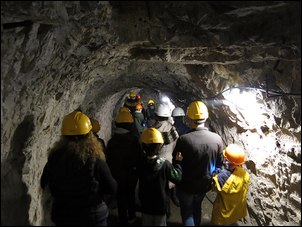 You can go on a guided tour of about one-third of the tunnel complex – an absolutely fascinating two hours. From Ramsgate we ducked across to Margate and visited the old Hornby factory. 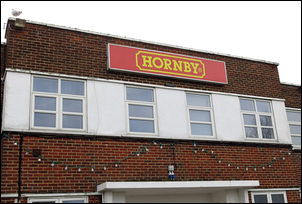 Hornby model trains have not been made at this site for many years (they’re now all made in China) but the building still has a visitors’ centre that incorporates a museum of Hornby, Airfix, Scalextric and Corgi products. If you’re interested in the history of toys or modelling (or you have children who are! ), it’s a good museum to visit. 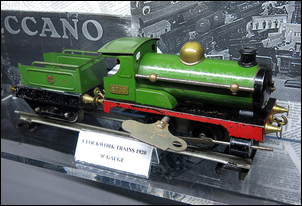 I was particularly taken with the wind-up model trains of the 1920s and the good displays showing how plastic model kits are produced – from the use of original plans and measurements of the real thing, to the 3D computer modelling and the steel injection moulding dies used to form the plastic shapes. And I was also amazed by the fact that a particular Corgi model (a 1964 fire engine) sold no less than 1,163,000 copies! But while we are seeing interesting things in the UK, I sure wouldn’t want to live here. 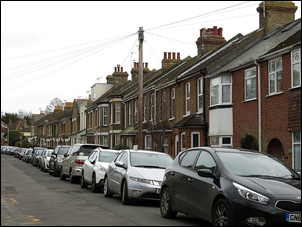 Having a car, we’ve been able to explore a lot of the back suburbs of places that we’ve been visiting – and the quality of housing continues to appal. Tiny houses, often lacking any play areas at all, jammed together in run-down streets. Unemployment – especially among youth – in regional centres is high … that’s obvious to the eye and the official stats support this. Many, many places in the UK look like there’s been a gradual run-down in maintenance over the last 100-odd years, and with so little urban renewal, people are living in some respects in literally century-old conditions. So that’s brings us to the end of a fascinating trip. If you’re interested, I’ve got some further thoughts on the Jaguar XF hire car and the trip as a while, that I have summarised below. Fascinating examples of optimism and development for a transport system now gone. 1 hour. Outstanding geology museum. Free entry. 1.5 hours. Absolutely brilliant collection, with a lot hands-on. 1 hour – and a lot more if you want to play games and do some programming. A glimpse of what was once regarded as the future. 1 hour. Very variable depending on your interest – from 1/10 to 9/10! Highly recommended – excellent guided tour. 2 hours. Good museum of toys and models. 1 hour. So with those engine specifications, this was never going to be a fast car – and it isn’t. In fact, the engine is coarse and uninspiring, with woeful throttle response (count for literally two seconds after suddenly flattening the accelerator before anything much happens). But we also found the rest of the car rather uninspiring too. The body design is poor: a normally sized 11-year-old completely unable to see out over the window sill in the rear; the A-pillars stupidly wide; the width of knee-room available in the front poor; and the boot hard to access. This is truly a car designed to look beautiful rather than be used. There are also incredibly basic design glitches in the instruments and controls. You can’t turn on the seat heaters one step at a time: instead you need to go straight to ‘3’ (the highest setting) and then back-pedal from there on the touch screen. That’s dangerous time spent with your attention away from the road. And you can’t select the heaters anyway if you’re reversing (because then the reversing camera is on and so the seat heat controls are lost from the screen). So why would you want to select the seat heaters while you’re in reverse gear? Something we tried to do almost every day we had the car as we exited the carpark. And I wasn’t blown away by the dynamics, either. The steering is light and precise but curiously lacking in feedback. The suspension travel feels oddly short, and the unsprung weight feels high (especially noticeable over short, sharp speed bumps where the wheels feel to ‘shake the car’.) I also found the damping settings poor – at their best over long waves but not wonderful anywhere else. However, the brakes are light and progressive and have good feel, and the car also has very strong grip. Inside the cabin you’ll find a host of questionable gimmicks. The heater vents rotate open when the car is started, and the transmission selection knob rises from the console at the same time. Both ‘features’ seem utterly pointless. The steering wheel shakes when you change lanes - a lane departure warning, I assume – but it just irritated me, especially when it seemed quite inconsistent in action. 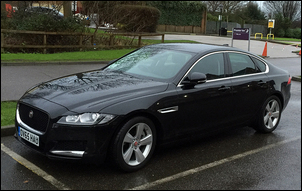 We really wanted to like the Jaguar (the XF has been on my wife’s ‘wanted’ list as a car to buy) but after three weeks with one, we’re now utterly indifferent to it. It’s just a car – and not a terribly good one at that. Firstly, I think we did bite off more than we could chew. We based our itinerary on what we’d previously achieved in the UK (three years ago) and Germany (two years ago). And taking that approach worked well in Norway, Sweden, The Netherlands and (of course) Germany and the UK. Far fewer people who spoke English – and that makes a huge difference – and a lot less people who really wanted to be helpful to foreigners. Men not overtly leering at women – I have never seen anything like it, and my wife felt quite discomforted. City authorities not cleaning-up graffiti – in Italy, every wall was covered in it… not to mention many delivery vehicles. Diners not blowing out cigarette smoke with complete disregard of others. Australia has among the lowest rates of smoking in the world, and if you get used to smoke-free environs (and like having them! ), it’s pretty revolting having to breathe so much pollution… especially when you’re eating. Sure we could handle all these things, but the simple point is that – being on holiday - we didn’t have to if we didn’t want to… so we left Italy pretty fast. Thirdly, it’s not being widely reported in other parts of the world, but the refugees / migrants moving in large numbers into western Europe are really an issue. The mass sexual groping of women in Cologne on New Year’s Eve by such men didn’t surprise me – not after I saw how people of a similar ilk behaved around Italy’s major railway stations. Again, if you don’t have to live with it, you can leave… and we did. But overall, we saw an enormous number of wonderful things and had a brilliant time. There literally wasn’t a single day that passed where we didn’t see something magnificent, incredible, amazing and exciting. Not one day in 5 weeks!